This is a guest post by Maggie Murphy of Mama Sew Crafty. 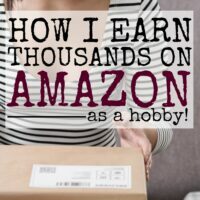 In my circle of mom friends, one of our common topics is- Ways to Make Money From Home. I have done many: babysitting, surveys, selling stuff online, etc. 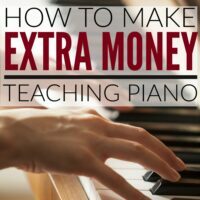 These were absolutely successful, but they weren’t consistent and the times weren’t convenient when working part-time and having a family at home, so I started to think of other ways to make a little extra cash. It was important to me to find something I enjoyed doing. Making money is always great, but making money by doing something you love is AWESOME. That’s why I started scanning photos and memorabilia for families. I know that starting to make money from home immediately is HIGHLY desired, and that is exactly what this opportunity can offer you! I began with just my laptop and a printer/scanner. The only necessary and consistent purchases are storage drives and gloves to handle the photographs, both of which are super easy to get great deals on, especially if you have an Amazon Prime account! Storage containers are also helpful if you often find yourself in the position of starting a project and being unable to finish in the same sitting (moms everywhere). Sounds like an easy start up right? It absolutely is! In the age of iPhones and digital cameras, film camera photographs may seem obsolete, but that’s not true. I was wondering the same thing until I realized how many families inherited their family keepsakes and had no idea what to do with them. Or families that were downsizing with no safe place to store their memories, but not willing to part with them either. It is a unique service and there is absolutely a market for it! The process is pretty straightforward, too! Some folks turn in orders of intricately organized photographs separated by date and year and some will turn in boxes that haven’t been touched in years with no obvious correlation at all. That is part of the fun y’all! Even when it’s not your own memories, you are still the keeper of someone else’s story and that is one of the things that I think is so unique about this side job. It’s not just a quick job, at least to your client. Because it is such a personal service, I cannot stress enough the importance of ensuring you have the time and care for families’ precious memories. Particularly if you have children, it’s important to have a space dedicated to the safe storage of clients’ photos. I know what you are thinking, scanning photo after photo can seem very tedious and time-consuming, and you are correct, it is time-consuming! There are many things we all do to make a little extra cash that are time- consuming though, like those survey apps. I personally enjoy this route more. I have been shocked by inherited boxes’ contents that families had no idea they had! Like old photographs with their Great-Great-Grandmother’s handwriting, old letters between family members, and one time I came across European newspapers from D-Day that gave me goose bumps. Long story short, though it may be time-consuming, it’s interesting and your time is greatly appreciated! My best suggestion for advertising is by word of mouth. I grew up in a military family and we moved often. In every home, our tubs of photos took up nearly a room of their own. A couple years ago, my mom was searching for a service to scan and convert them into digital files, but I decided to help her instead. I was able to start making a dent in the photos, deleting duplicates, and organizing them by year on a hard drive. While slowly working through our photos, freeing up storage space at home, word started to spread to friends and family about the work I was doing and it was a hit. Turns out we were not the only ones with mounds of pictures. That is how my side business Untangled Memories began. You can follow me on Facebook here. I was so excited that this seemed to be a service many were interested in because it was something that I not only really enjoyed doing, but a service that I was passionate about and believed in. The flexibility is a huge plus to this side hustle. Take on as many or as few orders as you can handle. I am a mom of “two under two” sweet little girls, so sometimes office hours are at 3:00 AM fueled by coffee, but I love it and it works! If you are a creative mind, you can even take the service a step further and offer different projects using the photographs, like designing shadowboxes, photobooks, framed and matted photos, canvases, etc. I can tell you from experience, that these are all things people are interested in and also projects that many don’t have time to do for themselves, which gives you the perfect opportunity! 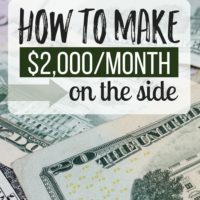 Need more ways to make money from home? Read the complete list here! What ideas do you have for photo projects to make money? Maggie writes at Mama Sew Crafty about everything DIY, being a fire fighter's wife, and staying at home with two baby girls. What a great idea. I haven’t heard of such a service offered here yet and I wonder if it will take off. Do you have a favourite scanner that you use? Hi there, Lisa! I use one from Kodak now and love it! The quality is amazing and it is possible to scan in batches which saves a lot of time! That’s my question how would you come up with a price. I use my flat scanner all in one but I want to try the batch scanner. My crafty gram picked up painting later in life and has a few framed works so I took pictures using my camera to save the memory. It’s nice to have both digital and framed. Happy 4th everyone. That’s such a good idea! I’d definitely pay someone to help me scan and organize all of our family photos. What a great present to give other family members too! Emily, yes! It does make a great gift! In fact, September through Christmas is my busiest time of year! How much do you charge? Hourly? # of scans? This sounds like a perfect opportunity! Out of curiosity, how to you charge? by the hour? photo? Hi Joanne! For the most part I charge by the size of order and to make it easy, I use the USPS flat rate shipping boxes for reference. So for example, the medium box can fit about 1800 photos. The amount I charge depends on if the client requests more specific organization. Feel free to contact me on my Facebook page! I’ve never thought about this! But it’s really cool. I do stuff like this all the time and never viewed it as a side hustle. How would I be able to get started with some clients? This has got to be the best idea I’ve ever heard of. It’s what I would call “do-able!” This might be just what I’ve been looking for. Thanks!!! I did this for 3 members of our family. Alot of work but enjoyable too. But how do you set a price for doing this???? So, you started with a scanner that only scans individual pics and then progressed to one that does batch scanning? Do you label each individual picture or just the batch? How do you figure out how to organize them all? I mean you obviously don’t know what year most were taken unless they have a time stamp. I would love to do this. How much did you charge? What services did you offer? How much do u charge? ?can u be more specific? ?break it down. I am curious how much you charge as well, I wouldn’t have a clue about what to charge for this type of service. A lot of folks are asking, “How much do you charge?” Understandably. As a full-time professional photographer for over 20 years, I’ve asked myself that question many times. How much should I charge the guy who wants me to photograph a car with bullet holes in it. Or the multimillionaire with a remote home overlooking a lake, who wanted me to document the massive rocks around his property for tax purposes, and estimate their weight. It is a little hard to ask the first time, but has reaped great rewards for me. I don’t use this question for portraits, weddings, etc, but do for jobs like this. The surprising things are that they aren’t usually offended, and they are often willing to pay more than what you were going to charge. It’s great when you think that $150 is a fair price for a job, and then find out that they were expecting to pay $300. Another great thing about asking this question is, you will find out what what clients think is a fair rate. Expect to get low answers, high numbers, and some in the middle. That range will help you determine your rates. If you are looking for more of scanning business, go to Thumbtack and become a photography vendor. You can pick from many specialties. You may get 20-30 leads a day, depending on how much you are willing to shoot: weddings, portraits, real estate, scanning, commercial, business head shots, etc. and where you are located. 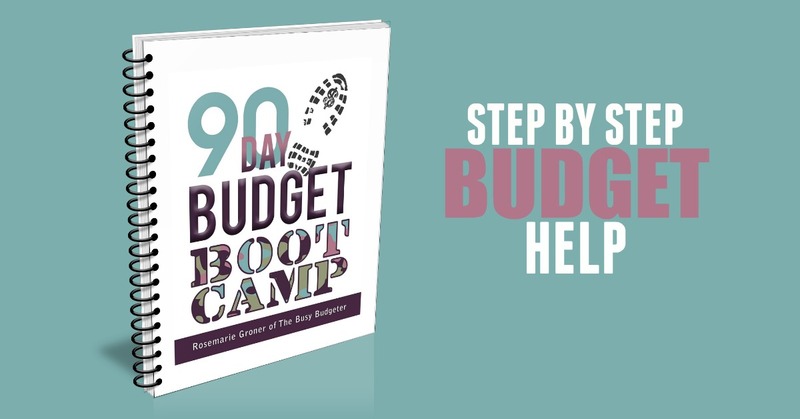 Those leads cost you money, based on their budget. If you use this link, you can get some free leads (and so will I). Leads can cost a few dollars or more. You only pay for leads that you want to pursue. I’ve been thinking about starting a scanning business and found this article very helpful! I tried clicking on the hyperlink for the storage drives to see what types you use and the page comes up as not there? Can you suggest types of storage drives? This is such a new idea! There is so much in my family alone that only one member has a copy, and while everyone doesn’t want a printed one, having a digital copy would be awesome. What is the best storage for digital copeis of pictures? Is portable hard drive okay. Or CD? Or USB? And what about for documents. Can it be stored also in hard drive? Coz I had an experienced using hard drive as strage of documents. The file cannot be opened. Please enlighten me on this. This is a very creative idea.I don’t think I have ever heard of this before. What type of business insurance would you get for this service? Wow ! 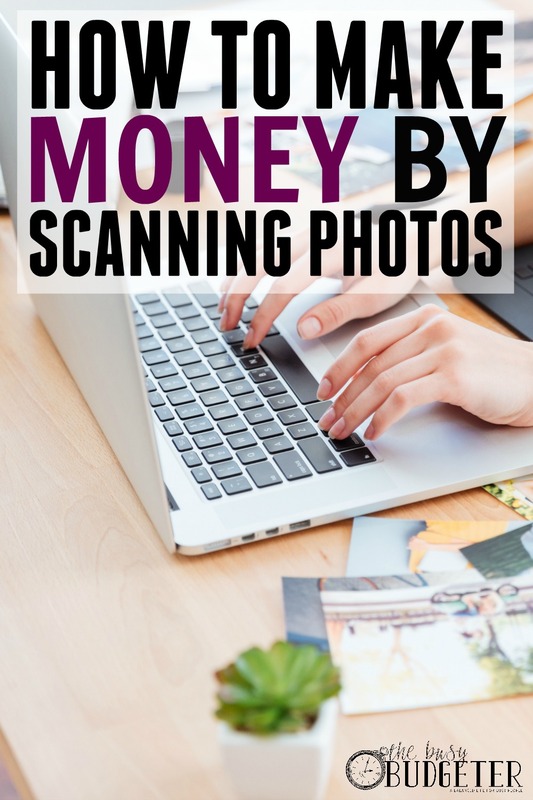 It is a very informative and wonderful blog post on How to Make Money by Scanning Photographs. Oh wow. I do a lot of scanning but never thought of making it a business. This is brilliant! No one has mentioned the difference in scanning a relatively “clean” photo versus one that needs a lot of touch-up and repair. How do you price accordingly? I began the “start-up” phase of my small business “Share the Legacy” in October of 2018. I am frustrated and having trouble getting this off the ground. 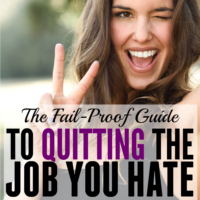 I had 2 customers right away, and was very encouraged — but since then nothing. I’ve got a website, a Facebook page (which I’ve paid for advertising on), I’ve done 2 extensive mailings, and even gave a business card and a candy bar to EVERY person in the elementary school I used to work in. I have nicely designed fliers and postcards, and invested in professionally designed magnets for both sides of my car. I’ve spent money on photo-books, mugs and slideshows so I have examples of the myriad of things that can be done with these slides and photos! I live in a medium-sized town in Minnesota…population less than 10,000. You seem to be doing so well! You love what you do, and you were definitely offering the right service in the right place at the right time. Am I just being impatient? Is there anything you would suggest to bring in customers? I really appreciate your time and effort for writing this amazing blog. I am looking forward for scanning media or digitizing film. Keep doing good work.